So this post is kinda late. But here it is anyways. 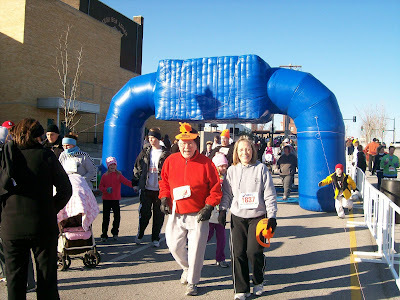 I participated in my first 5K on Thanksgiving morning. 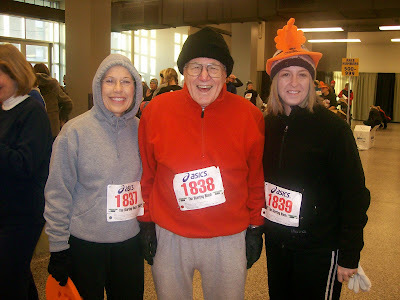 Dustin's Mom, Grandpa and I woke up early to run. It was a chilly morning, in the 20's. We had a good time though. I hope to do it again. Here we are before the race. Our view at the beginning. 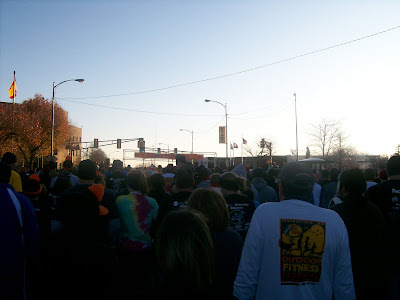 Over 6000 children, adults and dogs came to run/walk. The finish line. We made it!! !